Before yesterday, I had never heard of pendant watches. 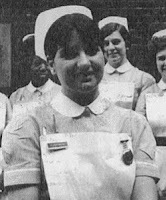 And for all I know, since I haven't yet asked, my mom routinely wore one on rounds as part of her nursing uniform (Mom?). These fascinating timepieces are meant to dangle upside-down, batlike, from the bosom of a person in service, who, with a quick glance downward could tell it was time to administer drugs, take the children to the park for their afternoon airing, or go to the chapel for matins. Pendant watches offered the advantage of being practical and discreet, thus appropriate for women in custodial roles, and more importantly, sat well away from the hands, which nannies, nurses, and ministering nuns needed unencumbered due to the nature of their tasks. Given all this, you'd expect pendant watches to be plain. And yet, look at this one. 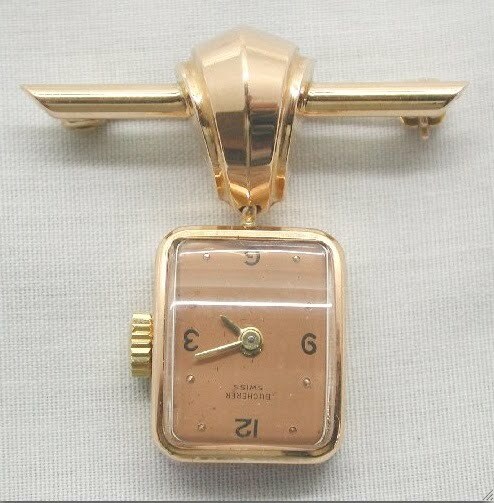 Rose gold, with art deco molding that, exponentially larger, might be found gracing the Chrysler building. It's gorgeous, front and back. Who wore it? A mystery . . . but clearly an industrious lady with little free time on her hands. 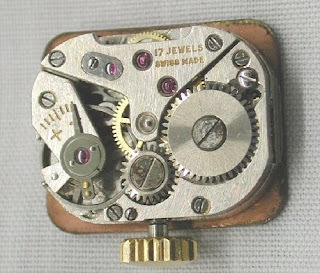 Curious to know if these weirdly wonderful watches were invented by a man or a woman - and which way up are they worn in Australia? 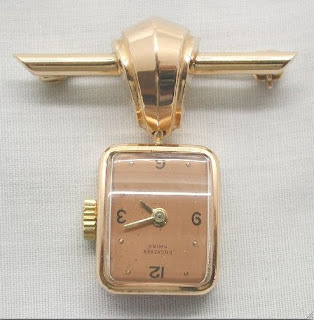 There were really beautiful pendant watches worn during the Art Deco period as well, and not just by working women. There were platinum and diamond pendant watches for socialtes. thanks, Susan! Easier to read on a woman, in any case. Belle, I'm not surprised you've come across some beauties . . . I'm always dazzled by the pieces on your blog. check in later this week for some lovely examples of jewelled mistletoe . . .